I will try to make a short series of posts on this. First up is install. WebCommander is basically a web portal for your Powershell scripts..or as they describe it..like an App store. It makes consuming PowerShell scripts easier for the end user who may not be familiar with running scripts. Once .Net 3.5 is installed you should be able to complete the Powercli install. 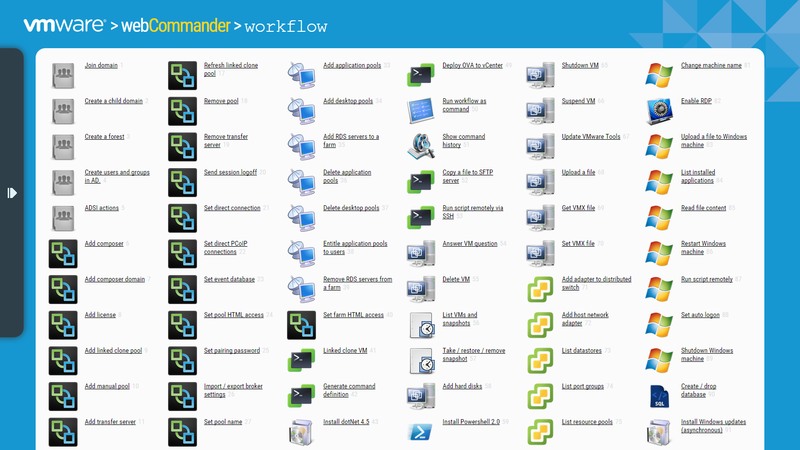 The latest setup script for Webcommander will install the components for you but if like me you are running it in a lab with limited web connectivity then installing them manually is the way to go. To install PHP go here http://php.iis.net . This will install the Microsoft Web Platform Installer. Accept all defaults. If the stars are aligned you should see something similar to this! Hopefully someone finds this useful! !